The location was very good. We were able to walk across the Danube and into the City in 15 minutes (we like to walk); the Metro is about a 5 minute walk. There are restaurants and shopping across the street from it, as well as a Tabac store which sells postcard stamps and has a post box right in front of it. Also, it had a kitchen and a washing machine (with a drying rack). Location excellent. Easy to get to old town, bus, underground. 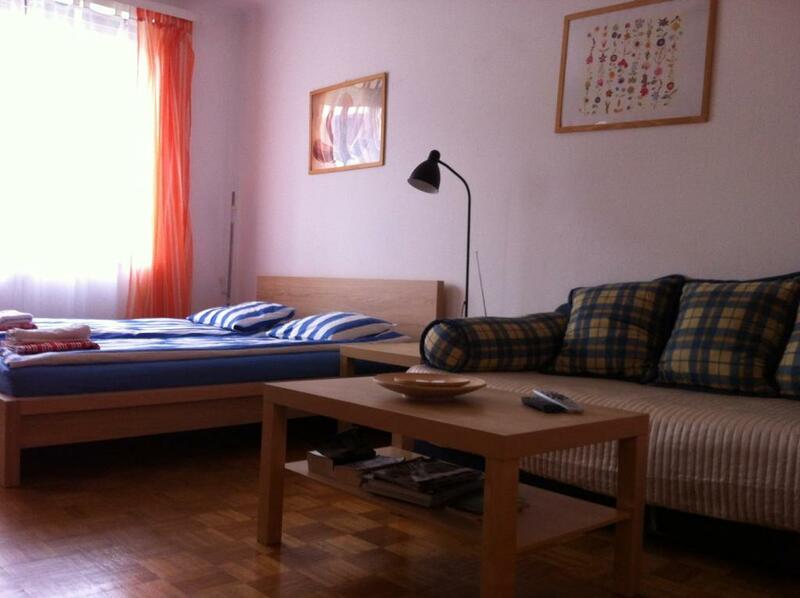 Warm flat and very quiet..comfortable bed and well equipped kitchen. Good hot water and choice of bath or shower suited us. Felt a bit like being a local! Good friendly little pizza place at entrance and nearby bars were popular too with locals. Location is perfect. And pizzeria Ricco on the first floor where owner used to leave keys are brilliant! Guys there are fantastic, very nice and attentive! They will help you to wait for the keys bearing company. 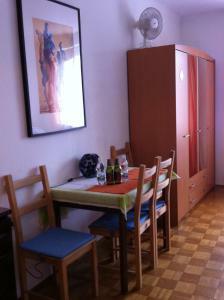 A wonderful location, within walking distance of all major sites. Good communication from owner ands easy to collect the key from piazza parlour at entrance. 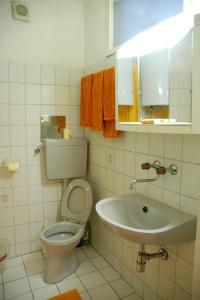 Apartment is reasonably spacious and has all expected amenities, microwave, washer, etc. and it's warm. Small supermarket reasonably close for shopping. Location is too reasonable to walking everywhere to see. Landlord is very helpful. 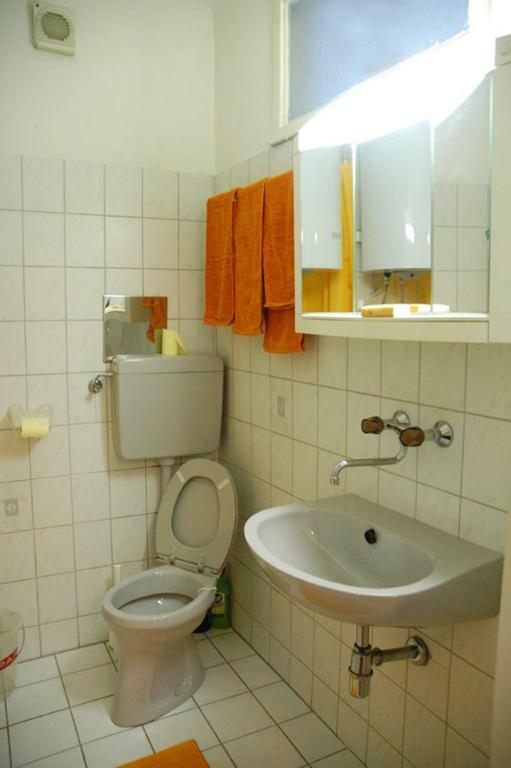 It has enough amenities and very clean. Excellent location. Easy access to everywhere . A tourist information center is present inside a souvenir shop very close to the apartment & to St. Stephan's Cathedral. 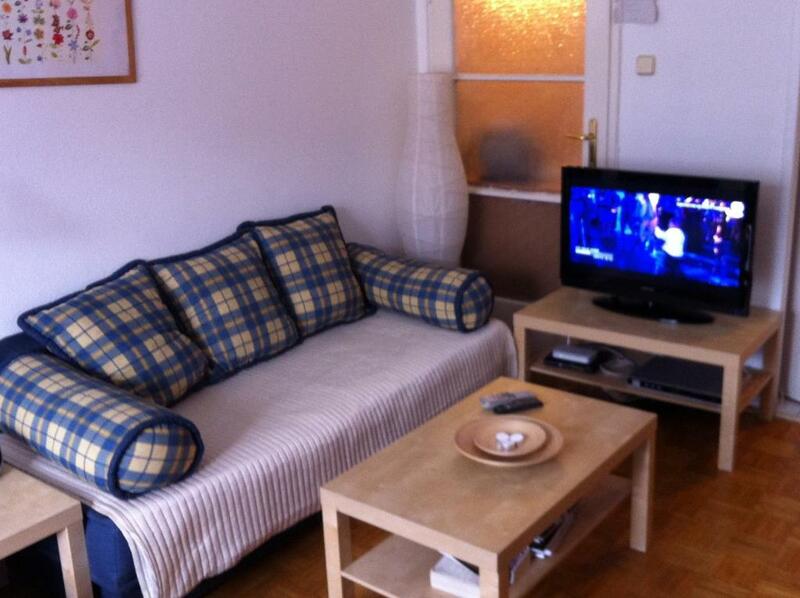 Everything needed for the stay is present in the apartment.. Location of the apartment was excellent, plenty of small bars along the river within 2/3 minutes walk. Close to plenty of restaurants for eating. Easy access to the underground for getting around and getting to the airport. The apartment was in a good location, less than 500m from an underground station and it was reasonably clean and warm. 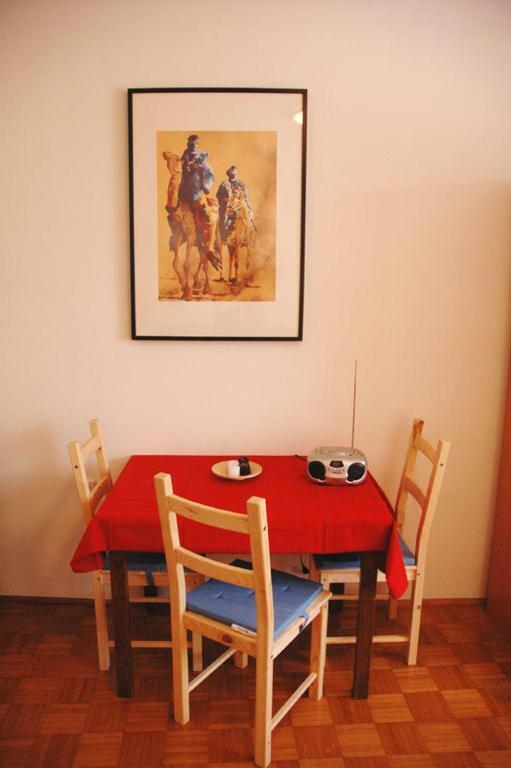 Located in Vienna’s 2nd district, Best of Vienna Apartments Ferdinandstrasse is located just 0.6 mi from the city’s famed St. Stephen’s Cathedral. Many bars and cafes can be visited in the Schwedenplatz region, a 5-minute walk away. 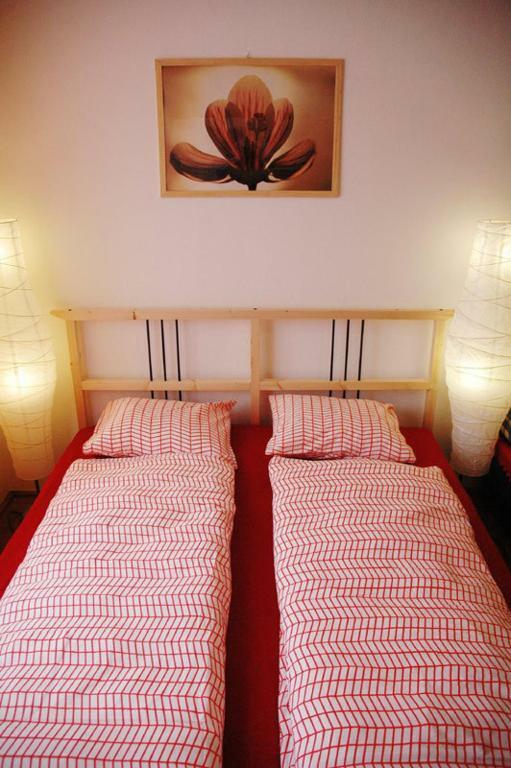 The Ferdinandstrasse studio has modern furnishings and comes with a kitchenette, dining area, bathroom, washing machine, seating area and cable TV. Wi-Fi is available free of charge. The closest tram and metro stations are a 2-minute walk away. 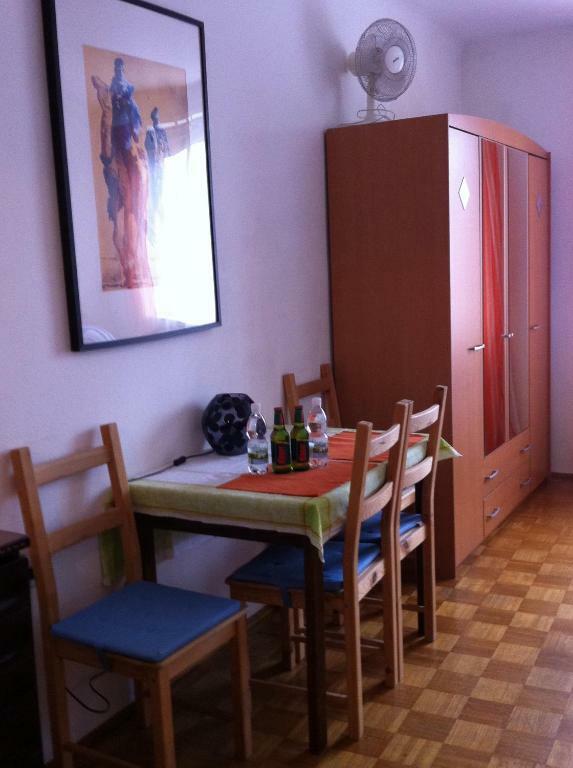 Shops, the Stadtpark park and the Prater park can be reached on foot in 15 minutes or less. 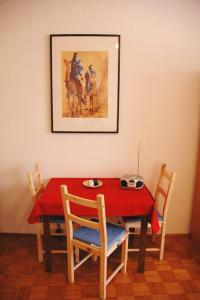 When would you like to stay at Best of Vienna Apartments Ferdinandstrasse? This studio has modern furnishings and comes with a kitchenette, dining area, bathroom, washing machine, seating area and cable TV. House Rules Best of Vienna Apartments Ferdinandstrasse takes special requests – add in the next step! Cash Best of Vienna Apartments Ferdinandstrasse accepts these cards and reserves the right to temporarily hold an amount prior to arrival. Best of Vienna Apartments Ferdinandstrasse accepts these cards and reserves the right to temporarily hold an amount prior to arrival. Guests are kindly requested to inform the property in advance of their estimated time of arrival. This can be noted in the Comments Box during booking or by contacting the hotel using the contact details found on the booking confirmation. Please inform Best of Vienna Apartments Ferdinandstrasse of your expected arrival time in advance. You can use the Special Requests box when booking, or contact the property directly using the contact details in your confirmation. 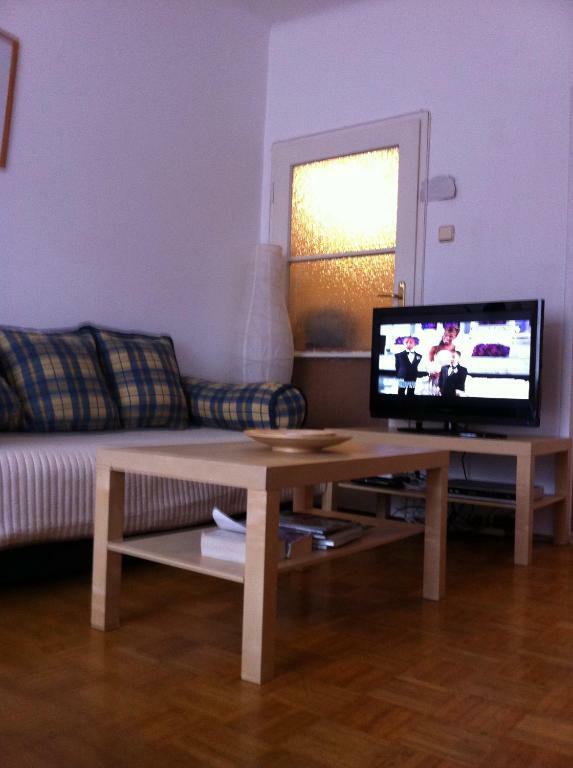 Flat was a little bit dated and furnishings rather basic., but adequate and good value. 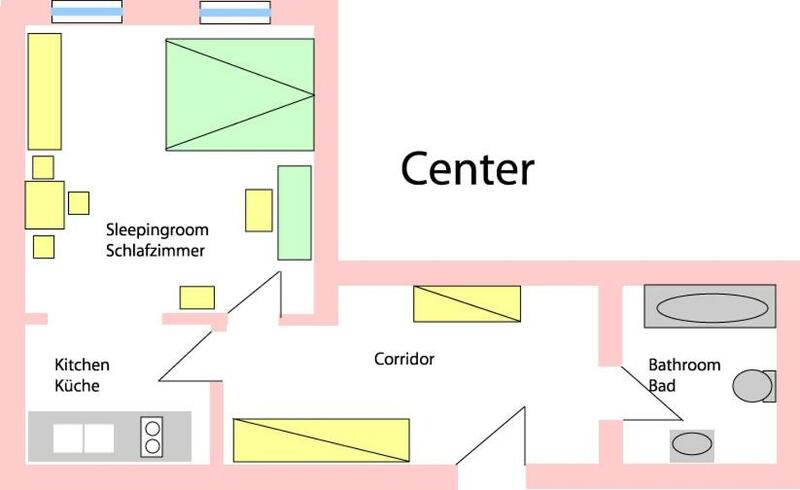 It is an old building, so if you're looking for luxury, this is not the place for you. It was cold while we were in Vienna (beginning of October) and we could not get the radiator to turn on. I sent them an SMS asking how to turn the heat on, but they never answered. They provided a lot of blankets, but the floor was cold, as was the bathroom. There was also a slight sewage smell in the bathroom, so we had to keep the toilet lid closed to help with that. We had to wait for three hours in the street for keys. Owner couldn't tell us when can we get the keys (however we had told him when we would arrive). Also we didn't see the owner himself. Had to spend a lot of money to text him (yes, he doesn't have watsap or viber or skype). Louvre-boards on the windows are very dirty. Fridge can make ice of everything. The apartment was not as clean as we expected. The washing machine did not work. 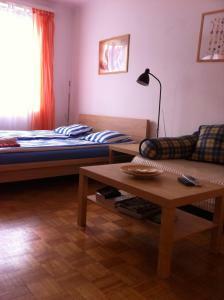 If the owner Mr Winkler put a little bit of care and attention into his apartment Best in Vienna could be the best. As it is it probably isnt the worst, but we had some miserable moments during our holiday trying to get things to work and in particular finding a laundry. The stove does not work, it is impossible to cook food. Also, the shower is almost impossible to use. The owner did not reply to the message. Really really bad bathroom. Hot water in almost no pressure (impossible to have hot shower!). The washbasin also didnt work. Internet didnt work at the moment. Last two days no hot water in the kitchen. Just a little bit of repair and maintenance of the facilities and particularly the furniture would make this apartment so much better. I had forgotten to take any access details for the property and it proved extremely difficult to contact the owner on the number provided. Contact was finally made, but the keys were still not located easily. No WiFi code or TV instructions, no fire extinguisher or fire escape instructions, no evidence of PAT testing, no window restrictors - the flat is on the 6th floor - torn curtains and broken furniture. There was also washing drying in the kitchen when we arrived! The apartment is part of a large 10 floor block and there is absolutely no signage to indicate you have arrived in the right place - most disappointing after a long day of travelling. The owner was rude. Washing machine not functional. Room heater was not functional. Inspite my repeated requests, the owner never extended any assistance or courtesy. He was very quick in recovering total money the same day when I had booked the hotel about six months in advance, though the booking was on refundable terms. I will never recommend this apartment to any one in future. In my long trip ( you can see from my bookings) I was the most uncomfortable inside the room at Vienna. I will expect you refund a part of the amount I paid. 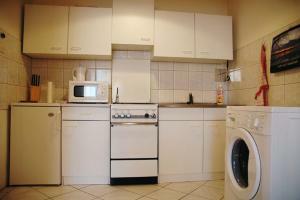 You must levy penalty on the owner for ill equipped apartment. Bathroom's ventilation is not enough.